Wind is one of the most important components of the Earth-atmosphere system. It facilitates the advection of water vapor, heat, aerosols, and pollution, and fuels wind energy. 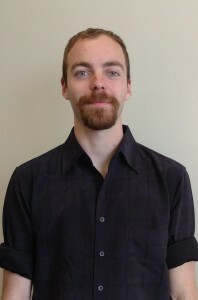 Starting from a background in Doppler lidar systems and basic wind retrievals, Brian is now applying the technology to mixed layer height retrievals as well as boundary layer events from the Plains Elevated Convection at Night (PECAN) field campaign (https://www.eol.ucar.edu/field_projects/pecan). One major goal of PECAN was to improve understanding of Great Plains low-level jets (GPLLJs). Brian is using PECAN’s diverse suite of remote sensing and in situ instruments to study LLJ interactions with the boundary layer from a wind and temperature profiling perspective. Brian has begun expanding on this work to tie in GPLLJ theoretical formulations as well as observations of GPLLJ moisture advection. These studies can be adapted to characterize east coast LLJs as well. Brian also works with ground-based lidar groups at NASA GSFC. Past activities include characterizing Doppler lidar uncertainties and performing dual-Doppler lidar measurements. Timothy A. Bonin, Brian J. Carroll, Michael Hardesty, W. Alan Brewer, Kristian Hajny, Olivia E. Salmon, and Paul B. Shepson: Doppler lidar observations of the mixing height in Indianapolis using an automated composite fuzzy logic approach, J. Atmos. Ocean. Tech. Early online release 19 December 2017. Carroll, B. J., B. B. Demoz, R. Delgado, Zhifeng Yang. Boundary Layer Structure and Low-level Jets during PECAN. American Meteorological Society Annual Meeting, Austin TX, January 2018. Awarded 2nd place in student poster competition. Carroll, B. J., B. B. Demoz, T. A. Bonin, R. Delgado. Mixed Layer Depths via Doppler Lidar during Low-level Jet Events. 28th International Lidar Conference, Bucharest, Romania, June 2017. Awarded NASA travel grant to present at conference. Carroll, B. J., B. B. Demoz, T. A. Bonin, R. Delgado, K. C. Vermeesch, and D. Whiteman. Low-Level Jets and Mixing Layer Heights in the Plains Elevated Convection at Night (PECAN) Campaign. American Meteorological Society Annual Meeting, Seattle, WA, 2017. Carroll, B., Choukulkar, A., Delgado, R., et al. Dual-Doppler Lidar Wind Profiling in The Lidar Uncertainty Measurement Experiment (LUMEX). 7th NOAA Educational Partnership Program Meeting, U of MD Eastern Shore, Nov 2014 (awarded best graduate student poster in category).